Dig for clams on the beach. 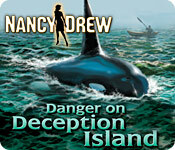 Nancy Drew - Danger on Deception Island is rated 4.4 out of 5 by 17. Rated 5 out of 5 by diverdown from Don't Judge the Picture! I'm very upset with myself for not having tried this before. 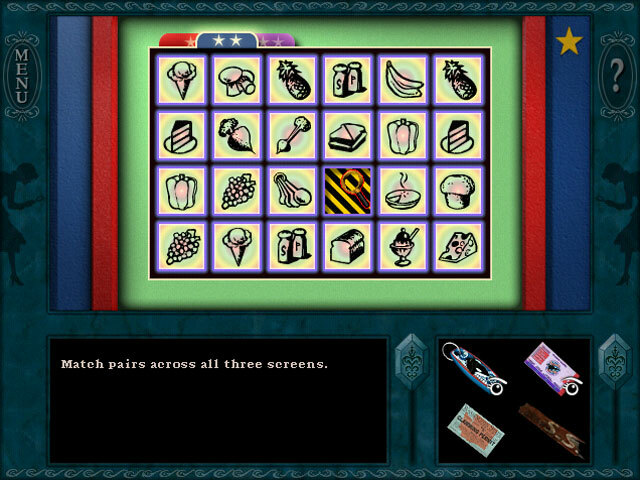 I have played 25 of the so far 29 Nancy Drew games and always avoided this one. I thought based on the old viewing window and the pictures provided it would be boring and overly educational. It turned out to be very fun with a great plot. The challenges were not to hard, but I liked that because I accomplished most of it without any hints. Great plot twist at the end. One of my favorite games, better than some that have the new graphics because of the fun factor and storyline. Rated 5 out of 5 by sanjhenry from Deception Island Review Awesomely fun, played a lot. Love it. Characters and story will keep your interest. Not so hard that you will get discouraged, worth your time playing. Rated 5 out of 5 by Brooke_Lyn from What A Great Little Game!! Danger on Deception Island is the 9th game in the Nancy Drew Series and still in the view finder format but this one trumps a few of the very new ones I’ve played recently! It has a huge infusion of humor in so many parts of the game! Since it’s pretty old the “Setup” and character breakdown has been listed by other reviewers so I won’t go into all those details! The game takes place on the San Juan Islands in Washington. It starts out interesting and never got dull it has a instant crime, plot, and the culprit list starts to build. It stayed on a flowing story line very well! This was a nice break from some infuriating mind blowing puzzles and wandering lost for hours!! I really enjoyed all the characters in this game, none of them became annoying or were the conversations so long you had time to make dinner while they were still talking! The conversations on the phone were short and sweet and some are really funny! I came across a lot of funny stuff in this game! You have a Laptop-Cell Phone-GPS. Check your emails even when not necessary to the game.. Some from Nancy’s home made me literally LOL! You can call Bess and George and the Hardy Boys for hints by the time I called for the heck of it, I had completed the task but they still gave the hints and all gave the same answers.. The conversations with all of them were out right funny about things they had going on at home! Can’t say there was a conversation I found annoying at all! To get around you have a bike that transports you where you need to go, don’t forget your helmet or you make front page news!! A Kayak you take out to the peaceful sounds of ocean waves. Some trips are necessary for the game but you can go anytime just for the fun of it or to make the game last longer! No getting lost anywhere or need help as in L-R-F out in the Ocean or in the hidden passageways/ kayaking in coves or going anywhere! No Alarm clocks or watching the time and no need for money ever! Some things you learn about: Morse Code- You could learn as little or much as you want I spent more time on it than necessary! Types of wood-Okay, not that fun but you find a board and have to figure out what type of wood it is! Oceanography- from large mammals to small sea life! You do things like skipping stones, claming, hanging out on the beach and building sand castles only if you want (the sand castle part) wish I had but I skipped it? Hmm now I’m thinking I may have opened a surprise? Maybe not? 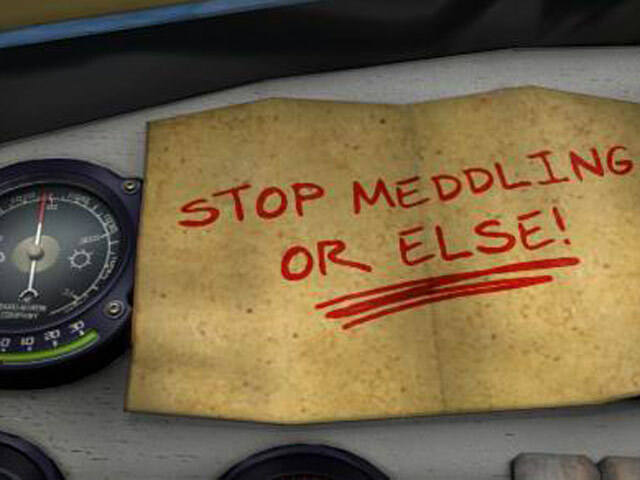 Puzzles are just enough of a challenge but still do-able without a walkthrough! Doing things out of order doesn’t freeze you in your tracks and you do eventually end up doing it! Don’t worry it has the hidden Passageways we all love and expect. You can find your way to and in and out without help! No Math yippee!! No Piano playing or reading music double yippee (a first ever I think) someone at the developer really loves the piano and thinks we ALL should, we ALL don‘t! One word of warning.. You can (probably will) get hurt or die many times and in many places and have to use the second chance. What Nancy says when needing to be picked up at the airport is funny enough to make it worth happening! Try it at least once! This game has the most humor I’ve come across in any ND game so far.. I can’t find anything negative about it except one game! Spoiler you‘ll be glad to have: There is a game at Whale World called “Feeding Frenzy” you need to move real fast and my mouse and hand were not keeping up, you can’t move forward without finishing it! But fear not! I found out if you keep trying and failing Nancy says “The game must have Malfunctioned” and your card get’s that last stamp anyway! And off you go on your Ocean Tour! Besides that… All Pros-No Cons.. Rated 5 out of 5 by earthgirl09 from Amazing Game! 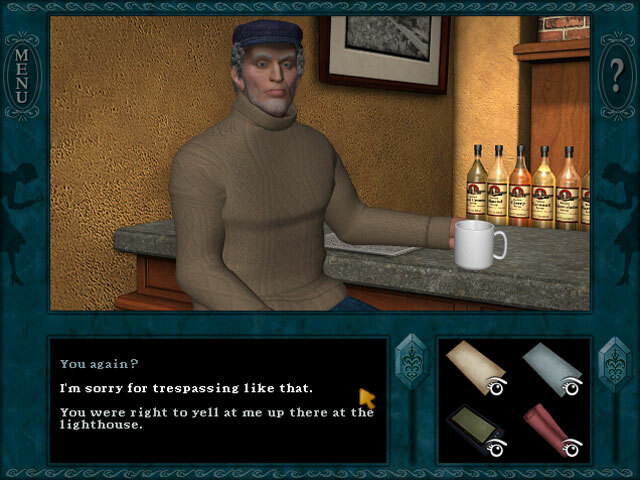 DDI is one of the greatest games in the Nancy Drew series. There are many fun things to do, like kayaking, biking, and exploring many new locations. The characters are unique, the puzzles are set at a good difficulty, and the storyline is amazing! This would be a great first game to the ND series! Rated 5 out of 5 by buttnogg from Best Nancy Drew Game! This ND game was the best one in my opinion of all of the ND games I have played. It is a very adventurous game and there were never-ending activities to do. Another thing I liked about it was it wasn't just in one location. There were plenty of new places to explore. There was an abundance of puzzles not too challenging not too easy. There were lots of hidden passages and entry ways. The ending was surprising and fun. Although, I didn't like how mean and ugly the character Holt was :0. The music was really enjoyable. The graphics were okay.... I've seen better. I absolutely loved the accents of some of the characters. This ND game is great!!!! It is totally worth all of your time and money!!! Its a great choice! Rated 5 out of 5 by Sergeij from Another Great "Nancy!" This was just a delightful game, full of deceptive, brain-teasing riddles that were game-linked, and that's what I liked about this game. The plot was excellent; the storyline was right on target, and you really didn't get lost or "fouled up" in this one even though this game was replete with hidden passageways, secret coves, secret messages and more. I heartily recommend this game to all. It was so engrossing and so interesting. Sometimes I think the earlier Drew games are the best! Rated 5 out of 5 by Mrs_Kim from Loved it!! Played on Junior Mode ^^ The Good: - Great storyline - Cute marine mammals, and we can also learn about them - Good sound quality, not much with the visual, but I don't expect much from it since it is an old installment of ND games - Interesting puzzles connecting with the storyline - Characters with unique personalities - Great (and rather funny, too) ending The Bad: - Nothing much really. I do enjoy this game and play it over and over!! Rated 5 out of 5 by WispofWist from Fully Enjoyable This was an excellent game, even by the very high Nancy Drew standards. I would say the difficulty is about average for an ND game; not frustrating, but not easy like I found Ghost Dogs of Moon Lake to be. The puzzles did not have an overlying theme like history or science, but they do tie together very well and have no appearance of being fillers. The biking between areas was a bit monotonous once you had been to all of them but after you become used to it this aspect makes the game more realistic. I only have two complaints about it. The first complaint being that this is one of the ND games where you do not have a portable note taking system-you have to go back to your laptop which is on the boat to see your tasks. This was very minor though. I thought it would annoy me, but it was barely noticable. You also still have your cellphone with you at all times. My second cadveat is there is one task where you have to have everything set up in a certain way and then call. I may have taken longer than most people to figure this out, as there were no walkthroughs that mentioned only being able to call when things were layed out. Whoops. This game was a satisfying length. I always forget to time myself, but this took about six periods of four to six hours to finish, and it never felt drawn out. The best part of this game was definitely the plot! It was so complex, and the culprit really thought everything out in this. The ending was the most unexpected in any Nancy Drew game I have played. Very well done, developers. You certainly were inventive in this. Rated 5 out of 5 by Gembirdie from Easier Nancy Drew Game This was a very interesting Nancy Drew game. Good storyline and easier than most: I needed a walkthrough only twice. I feel wonderful about having been able to solve it almost completely by myself. Try it out! Rated 5 out of 5 by friend12345 from The review of the best game i've ever played! I LOVE THIS GAME!!!!!!!!!!! !PLAY IT!!!!!!!! Investigate the threat shrouded in the approaching fog. Plunge into danger to bring a mysterious island's secrets to the surface!